Tiger Woods Legends Magazine #112 | Sports Memorabilia! Tiger Woods Legends Magazine #112. 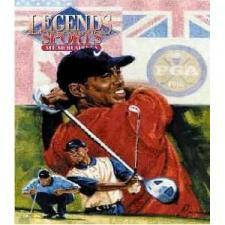 Legends Sports Memorabilia Masters 1001 Champion Speical Collectdors Edition. This magazine has several collectiblel trading cards inside the publication.